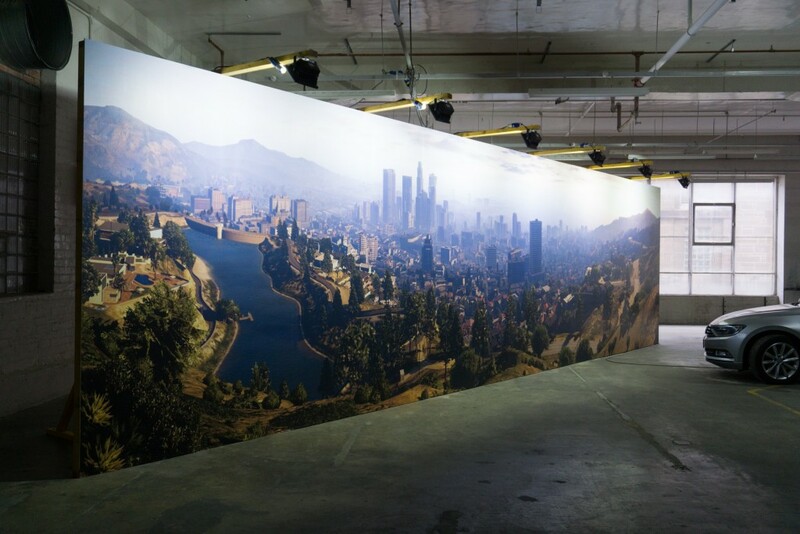 8k, Aram Bartholl’s newly commissioned installation for NEoN, features a panoramic view of Sin City from Grand Theft Auto 5. 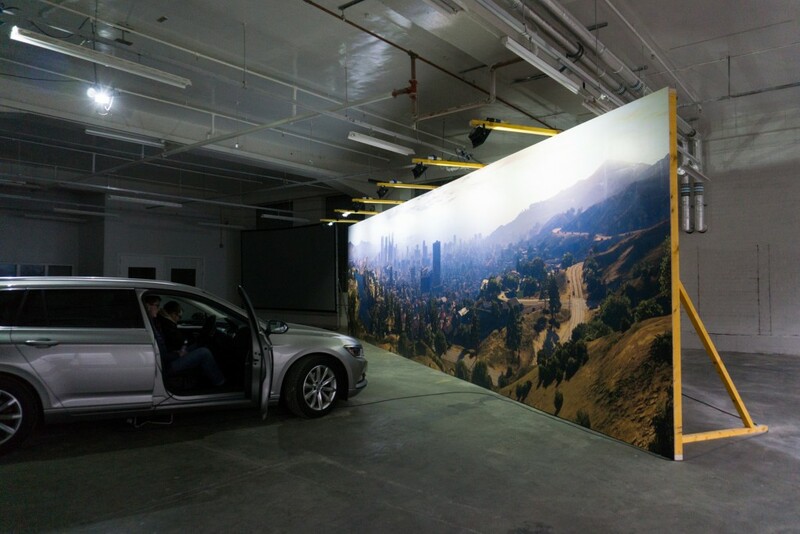 The scene is a screenshot presented as a twelve-metre long print. 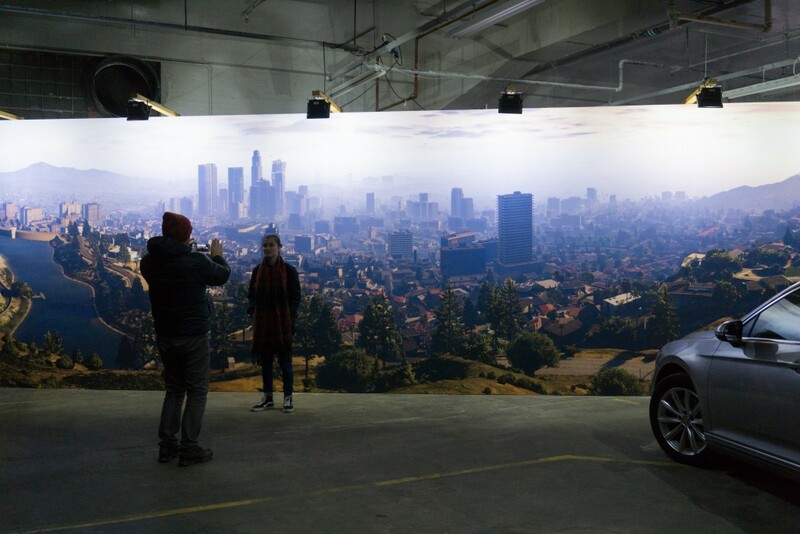 A car parked in front of the billboard beckons visitors to take a seat and enjoy the view of the vast digital cityscape while listening to an audio collage of YouTubers playing the game. 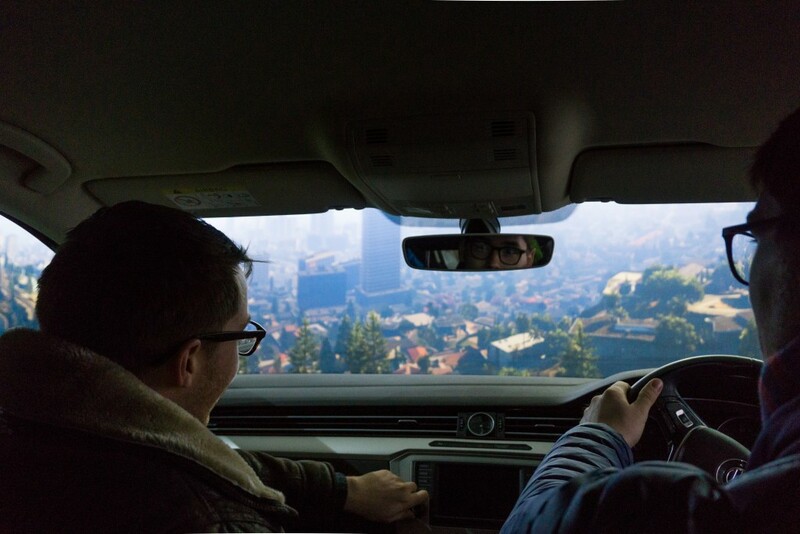 Grand Theft Auto is an open-world, action-adventure video game series published by Rockstar Games. The title of the series makes reference to legal terminology for motor vehicle theft in the USA. The series has its origins in Dundee where it was first developed by Rockstar North (formerly DMA Designs) in 1997. The third chronological title, Grand Theft Auto III, released in 2001, was widely acclaimed for bringing the series to a 3D setting and offering a more immersive experience. 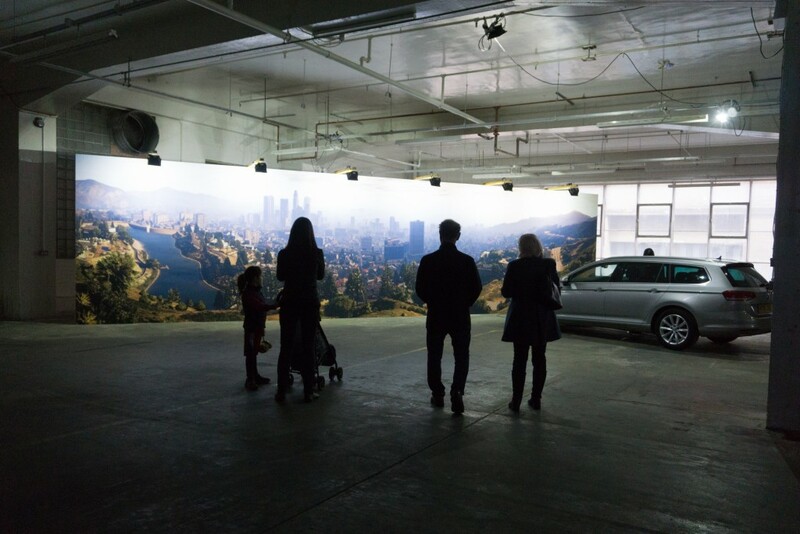 The series has garnered controversy for its adult nature and violent themes. 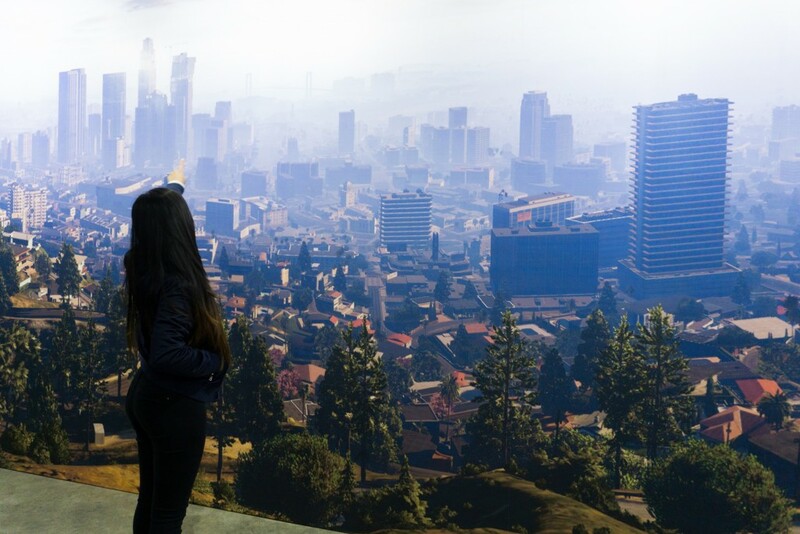 The vast, open world of GTA 5 offers total free interaction for the player, like a huge playground with no moral boundaries. As a result, players tend to test the limits of what is possible in the game. 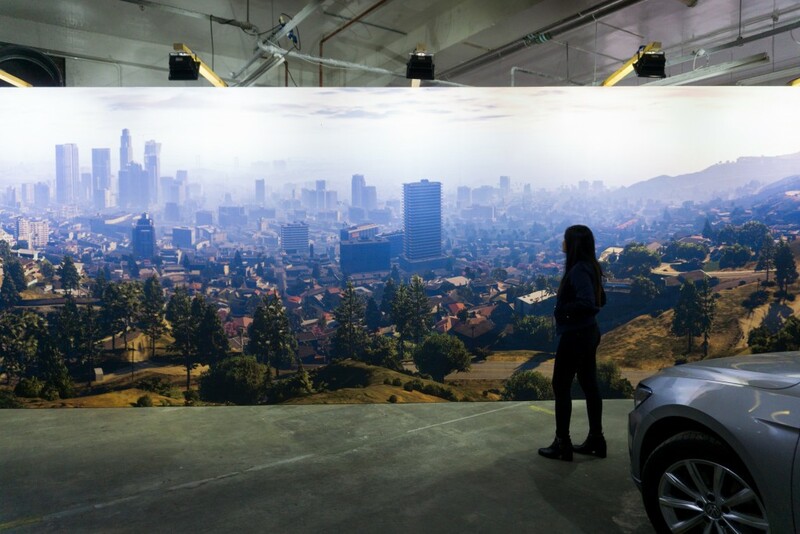 YouTube hosts a massive collection of GTA 5 videos in which players frequently, hysterically, ‘go nuts.’ The ‘City of Sin’ in GTA 5 serves as a metaphorical excess flow valve, a projection plane and a mirror of today’s society, which has become increasingly regulated and controlled.